Why should I sell my car to Marine Chevrolet? Marine Chevrolet has a car-buying process that is dedicated to helping you sell your car. We are revolutionizing the way people sell their used vehicles by offering a quick and easy alternative to going through a private buyer. We buy any used vehicle regardless of its age or condition. That includes luxury cars, sports cars, work trucks and SUVs. Marine Chevrolet is a Kelly Blue Book (KBB) Buying Center. By going online, you can get an “Instant Cash Offer” based on the KBB value. Vehicles must pass a mandatory inspection by our car buying representative. If the inspection report differs from your description or online assessment of your vehicle’s condition, the we may adjust the offer amount, which may result in a decrease of the offer. What is the difference between a ‘up to’ offer and a ‘guaranteed purchase’ offer? An ‘up to’ offer is a starting point and the maximum Marine Chevrolet is prepared to pay for your vehicle based off various online resources, and is just an estimate. After we take you through our process and physically evaluate your vehicle, we’ll have the information we need to provide the ‘guaranteed purchase’ offer, that is the dollar amount you’ll see written on your check. If you still owe money on your car and your lender has your vehicles title, simply provide us with the payoff letter. Marine Chevrolet will work with your lender to obtain the title to your vehicle. If we buy your car for more than you owe, we’ll pay you the difference at the time of purchase. 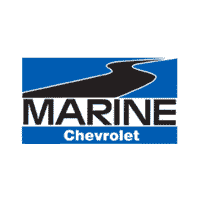 Marine Chevrolet has a lot of experience working with companies of all sizes. We’re even prepared to purchase whole fleets of used vehicles. Simply provide us with the appropriate documentation authorizing you to sell the car(s) on your company’s behalf and we’ll finalize the transaction. If you still owe money on your car and your lender has the title, simply provide us a payoff letter. Marine Chevrolet will work with you and your lender to obtain the title to your vehicle. if you’ve lost the title, contact you local DMV to obtain a duplicate. A title is require to sell your vehicle to Marine Chevrolet. When you sell your car to Marine Chevrolet you’ll need the vehicle title or payoff information, the drivers license of all persons named on the title, and of course, your car and keys. The qualified Marine Chevrolet representative who appraises your car will be one of the members of our purchasing team. He/she is trained to evaluate and confirm that the vehicle is as the seller described and will fully evaluate the mechanical and structural conditions of the vehicle as well. Our buyers are fully capable of answering any questions you may have about the process or the quote. Just ask your sales contact at the store to introduce you to the team. When you sell your car to Marine Chevrolet you’ll be paid with a corporate check upon receipt of the vehicle title, no later than the next business day. We do not give guaranteed appraisal values online. We will provide you will some common online resources to visit before bringing your vehicle to our location to conduct some preliminary research. Since online resources are just estimates, it is necessary for us to physically inspect your vehicle to provide you with the written offer to purchase your vehicle. Why is the Marine Chevrolet offer to purchase different from your retail prices? How long is my appraisal valid? Your vehicle appraisal is valid for 72 hours. We will let you know how much we’ll pay you for your car and you have 3 days to decide if you want to sell it to us. Supply and demand ultimately determines the value of a vehicle in the marketplace. Aftermarket modifications can positively impact the Marine Chevrolet offer to buy your vehicle as it helps set your vehicle apart from the rest. Also, aftermarket modifications can potentially void the factory warranty and in this situation they would negatively impact the Marine Chevrolet offer. There is no catch. We buy used cars. That’s it. Our promise is to provide customers with a stress-free, guaranteed selling solution – eliminating the uncertainty and hassle of selling your car to a private party. By submitting this form you agree to be contacted by a Marine Chevrolet staff member.